Payroll has always been an integral part of every business, not unlike sales, customer service, and even content marketing. Never consider it a twice-monthly annoyance or a bookkeeping task. It is actually how companies reward and retain employees by compensating them for the work they’ve done. If there happen to be errors in payroll due to miscalculation, companies will end up with dissatisfied and unmotivated employees. Thus outsourcing payroll to the experts is one avenue that can ensure employees are paid accurately and on time. 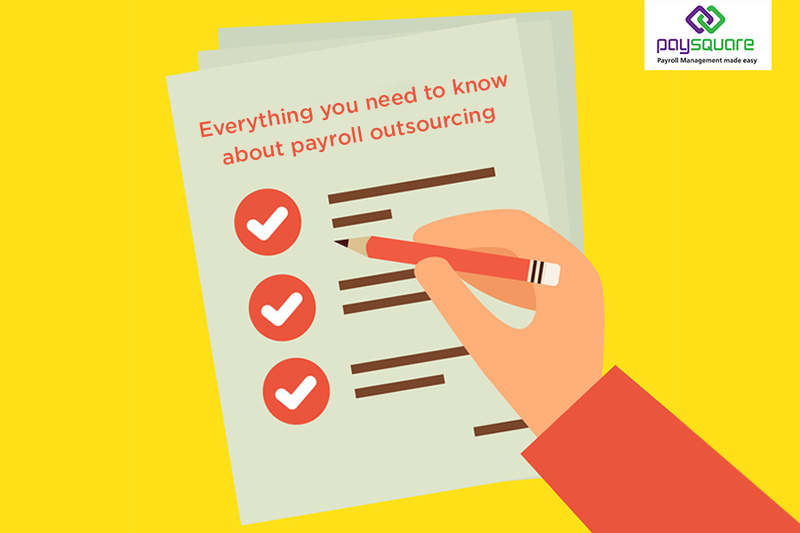 Since payroll is a complex process, we have created this quick guide to payroll outsourcing, to help outline its advantages and disadvantages and also the main reasons that companies need to outsource payroll. Payroll typically deals with the financial aspects of dealing with employees including compensation, employee benefits, wages, salary sacrifice and deductions. The company’s payroll department is responsible for ensuring that all employees are paid on time and receive expenses repayment on time. Payroll outsourcing implies that specific payroll processes or all of them be outsourced to an expert in the industry. Most companies rely on these experts as the process can be a time-consuming and complicated. They need to make sure that they keep track of rotating personnel and the ever-changing tax regulations and compliances. By outsourcing, one can greatly reduce the complications of the payroll process and free up more time for their business’ core abilities. Payroll service providers are known to offer an attractive and valuable alternative to in-house processing. The need for outsourcing payroll can be dependent on several factors, such as number of employees on assignment, whether a company has a local entity and the complexity of the host country laws regarding employment and withholding. Usually it is the time and cost of setting up and administering a local payroll that cannot be justified. In such cases payroll functions are outsourced to another expert. Smaller companies mostly rely on payroll outsourcing but these days even larger companies can benefit from these services. By using outsourced service providers, companies will gain access to experts with the right technology and capacity to offer accurate results that can reach up to 99.95%. This accuracy ensures efficient management and deters irregularities. Fraud by staff is a prevalent issue within many companies. By outsourcing, the entire process of handling payroll and accounting, accuracy and quality is ensured as service providers will be held accountable for any anomalies in the transactions. Outsourcing payroll frees up time and employees, allowing the more important areas of your organization to benefit. Processing payroll involves a host of activities and takes up a lot of time that can be instead spent more effectively by improving customer service, finding more business, or releasing a new product line. Failure to comply with the various rules and regulations can lead to a large number of penalties not to mention the legal hassles involved. Payroll service providers have more than sufficient knowledge of the ever changing compliance norms. Thus their clients can rest assured and leverage their expertise to make sure they do not land into any legal problems. Handing over payroll operations to a third party gives you less control over the financial data and confidential information associated with it. At times, payroll services can be expensive. In such cases it is better to take informed decisions about which provider suits your budget and which packages you should opt for. Some companies make the mistake of choosing comprehensive packages even though they may not need it. Thus it fails to provide any value to them.